Home / Air Pollution / Air Quality / Early Childhood Development / featured / Gas Sensor / Health / Indoor / IoT / Nanotechnology / School Air ~ What Do Our Children Really Breathe? School Air ~ What Do Our Children Really Breathe? As of fall of 2016, 50.4 million students will attend U.S. schools and be part of over 13,500 school districts and almost 100,000 public schools. According to National Center for Educational Studies (NCES) approximately $584 billion will be spent related to their education. With 20,000 breaths taken each day, this translates into a total of over 336 Billion breaths a day. A scary proposition - especially when the average school buildings were constructed more than 44 years ago! Why is this important? Because of the age and poor conditions of school buildings, indoor air quality should be a huge concern - particularly because it may affect health and performance of students. What causes poor Indoor Air Quality (IAQ) in Schools? Poor indoor air quality in school has raised serious health issues including coughing, eye irritation, headache, allergic reactions, an array of respiratory conditions, asthma and in rare cases, life-threatening conditions such as Legionnaire's disease, pneumonia or carbon monoxide poisoning. For all of you with a child you had to rush to the emergency room or that your child was not able to attend school, a school event or be allowed to be outdoors due to the impact of air quality, you know how it feels - and you are not alone! One research in 2011 conducted in North Carolina found that 22% of absentees in schools were a result of respiratory illnesses. Other research also indicates that absenteeism due to poor indoor air quality in schools is significant and costly. According to CDC, loss of productivity resulting from missed school accounts for over $1B per year! Although until know there was no clear way of knowing what's in the air we breathe, new and upcoming nanotechnology is making a disruptive attempt to bring Nano gas sensors to the consumer market. These minuscule sensors are being developed by sensor companies to be able to detect airborne gases. Applications include monitoring indoor and outdoor air pollution, food quality and spoilage detection, monitoring industrial toxins for worker and environment safety, detecting mold and fungi and much more. These Nano gas sensors may someday be able to provide indication for early disease detection for a host of diseases including Diabetes, Cancer, Alzheimer, Parkinson’s and more! With nanotechnology gas sensors, air quality, air pollution and airborne toxins will be detected within seconds of exposure. 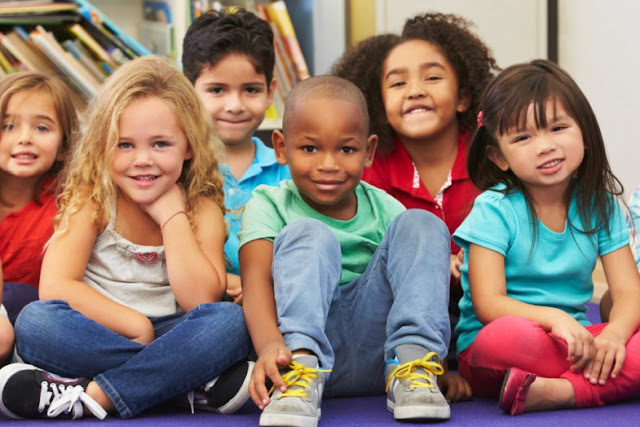 This will allow for immediate action – as simple as airing out the classroom, moving into another room, minimizing the use of certain school supplies and most importantly, informing school authorities to do something about ventilation and/or other systems that may be causing harmful gases in school environments. Early childhood development is critical to success of future generation. Soon, we will have another sensor tool to help ensure that our children are safely breathing air – especially when in school. It is every home owners' nightmare to find out the air conditioning or heating unit is no longer functioning. Especially if you are in the middle of frozen winter or the scorching heat of summer. Once the hard work of finding and selecting the right replacement unit for your home is complete, the next big decision is your hvac repair north salem installation.